← Jennifer Lawrence’s Hair: so much to say, so little time! 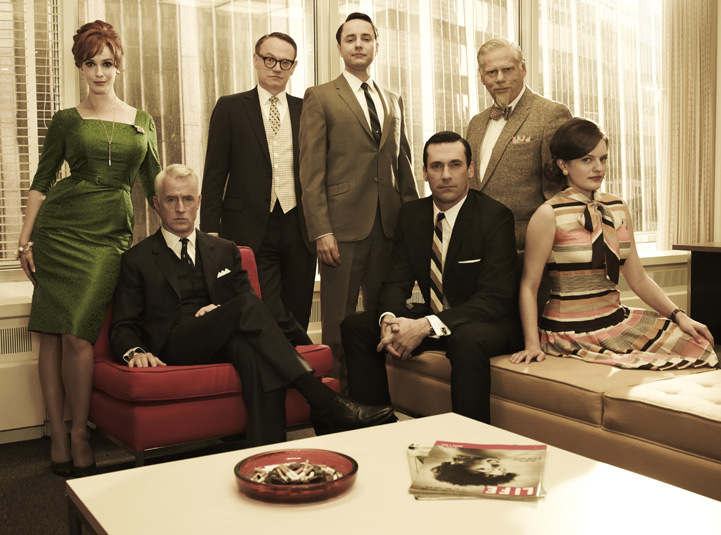 Are you sticking with Mad Men even though it’s been gone for 17 months? Chances are your answer is “Yes” if you’re reading this. There’s so many reasons to watch Mad Men, but one that’s not so obvious is their hairstyles! On the surface, you might wonder why we watch the hairstyles. While they’re retro ’60s, the glamour looks can be updated for today. So before the curtain rises, anticipate what’s sure to be a great-looking season for the Women of Mad Men. This entry was posted in Uncategorized and tagged AMC, Arts, Betty Draper, Christina Hendricks' Hair, Don Draper, Elisabeth Moss' Hair, January Jones' hairstyle, Mad Men, Men, People, Shopping. Bookmark the permalink.